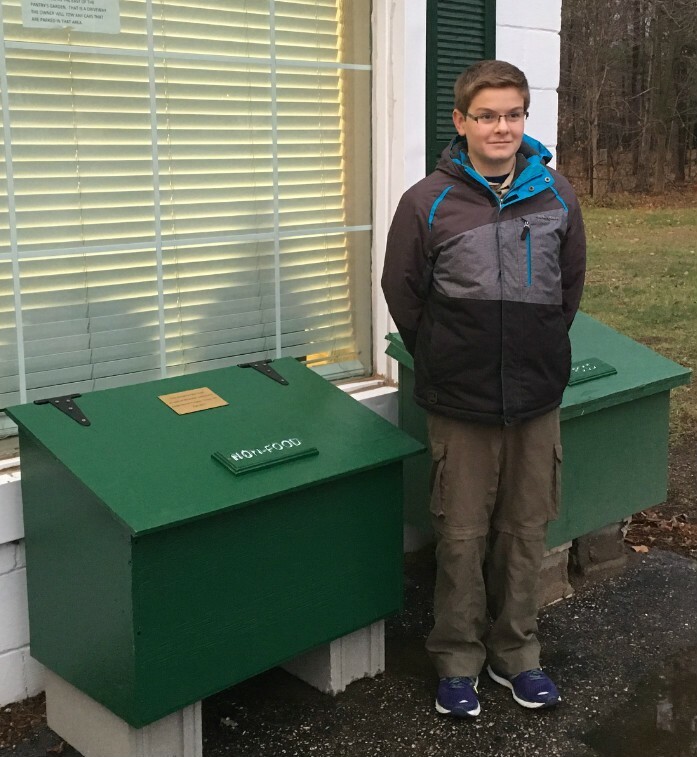 Nickolas Johnson's Eagle Scout Service Project is helping Eleanor’s Pantry. Nickolas Johnson earned the rank of Eagle Scout by conducting a community service project benefiting Eleanor's Pantry. Nickolas held a toiletry drive which collected 2,682 items for the pantry. He also constructed an outdoor box for non food items to be donated when the pantry is closed. Personal care items/nonfood items are the most difficult for us to obtain, so collecting these items was the goal for his project. Nikolas coordinated the project with Paw Paw Pack #169 and Troop #169 and Troop #197 from Lawrence. 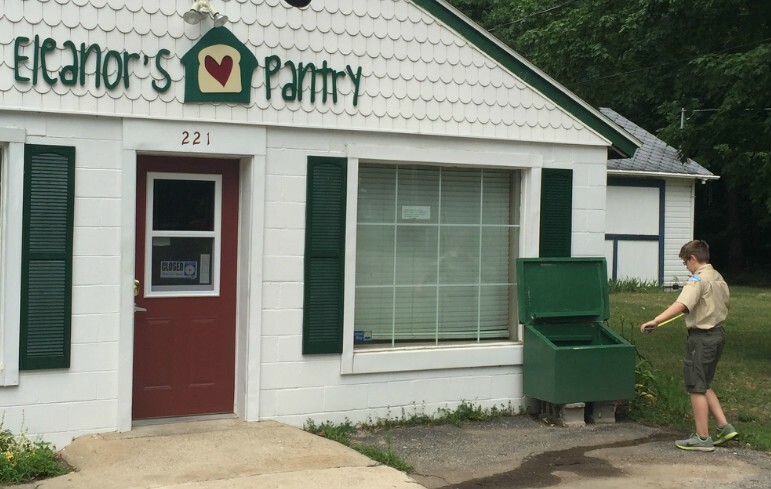 Please: Donate your nonfood items to a box outside the pantry that Nickolas built! We currently have only one such box for food. 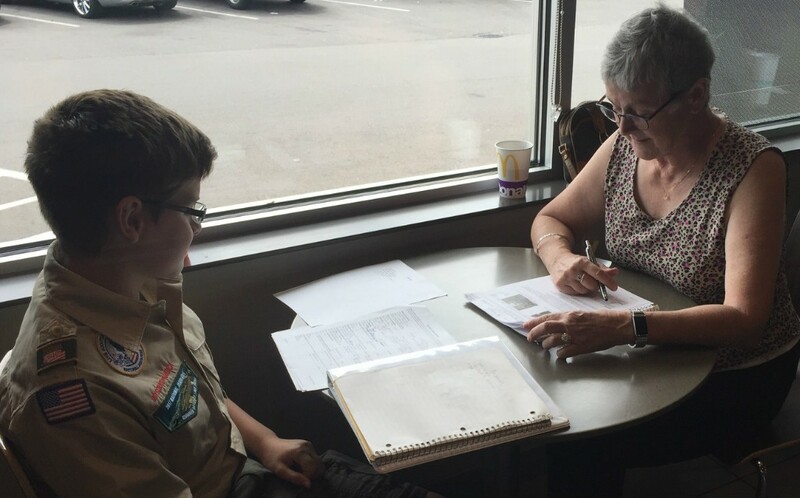 Nickolas’ project will greatly benefit those who need the pantry. Thank you for participating in this effort!